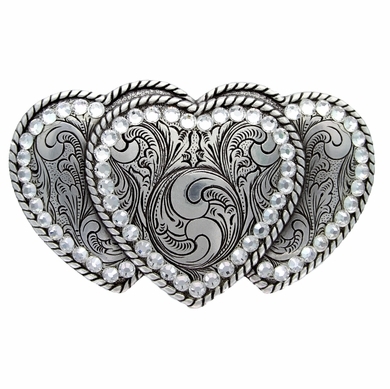 Antique silver rope edge three hearts buckle with Swarovski Rhinestones Fits up to 1. 5" belt strap. 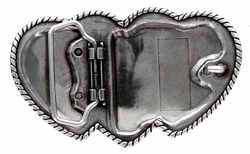 Buckle Size approximately: 3-1/2" x 2-1/2"